what??? sher richardson??? what happened? i didn't know and am throught with sadness beyond sadness. i will truely miss her and her talent and heart felt words she exspressed and inspired! beautifully done dawn! i am so sad though! i didn't know! there are no words to describe the beauty you captured of sher inside and out in this one simple portrait. she was the first one to ever comment on my work. i didn't know. 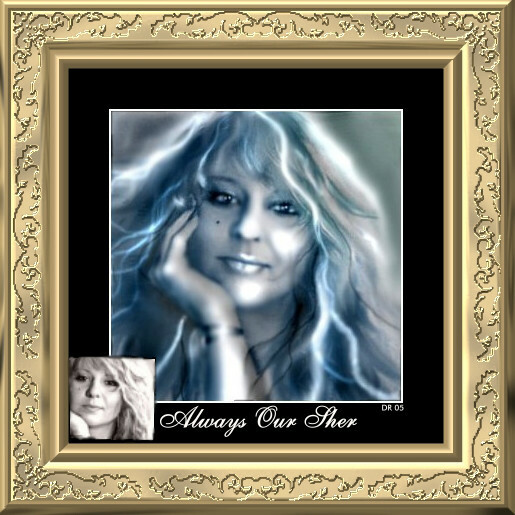 thanks dawn for creating this beautiful tribute to her. i feel like you did it for me too!! thank you and god bless you all this holiday season! Oh those eyes... you've made me cry with this one. And captured a truly giving spirit that lives here on this site with us still...great tribute!!! Sher still with us forever, wonderful tribute to an excellent artist.....! A wonderful Portrait, of a wonderful person!!! Lovely tribute! !